Vertical barrier walls are ideal for use in controlling migration of contaminates and leachate to groundwater sources. Barrier wall panels are comprised of extruded polyethylene from recycled feedstocks. 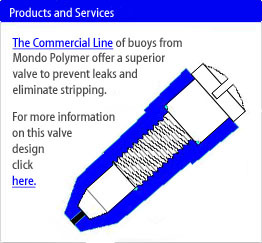 Walls fit together using the Larssen Interlock System featuring multiple contact points proven to restrict seepage. Installs easily with conventional construction techniques, tools and equipment. Reduces acquisition costs up to 20% when compared to conventional steel piling. Lighter and easier to transport than steel. Eliminates need for excavation, minimizes disruption of adjacent soil. 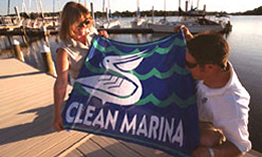 Offers the highest chemical resistance and extended service life. 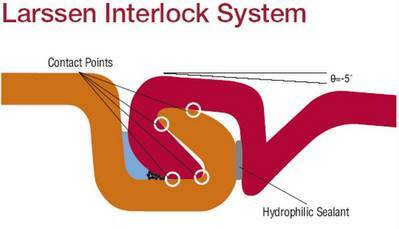 Interlocks can be supplementally sealed by using a hydrophilic sealant. Mondo Polymer manufactures the Vertical Barrier Wall for Skyline Steel. For more information on this product check out the downloadable literature in pdf format that is listed below.